A few weeks ago I wrote a guest post on www.livingwithlowmilksupply.com about how I survived exclusive pumping for a year with my son, and seven months with my daughter. 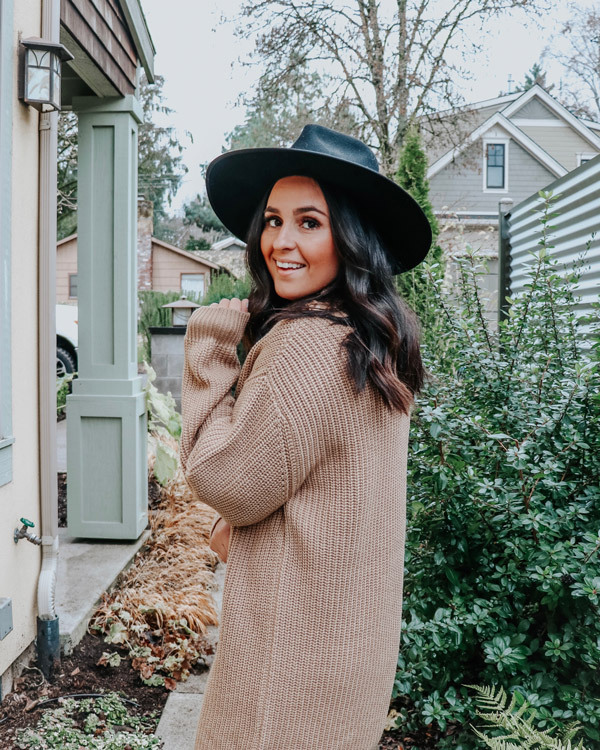 I often get asked what I did to keep my supply up and maintain it for so long so I wanted to share this post here for all you mamas who are interested! 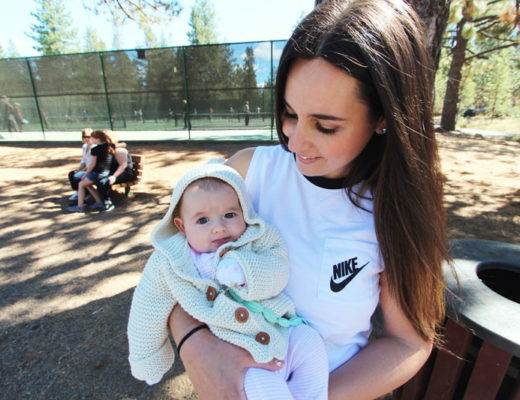 When I had my babies I knew that I wanted to breastfeed. Breast milk contains antibodies that help your baby fight infections, viruses, colds, etc. It also has the right amount of fat, protein and other essential nutrients that baby needs. When I had my son I soon discovered that he could not latch correctly. I met with several lactation nurses and tried everything with no success. 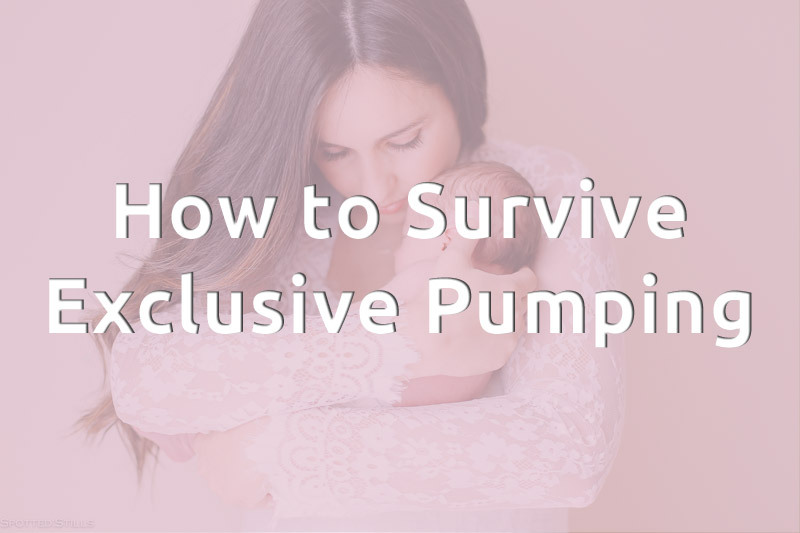 That is when I decided that I wasn’t ready to give up on providing breastmilk for my son and so I decided to switch to strictly pumping. 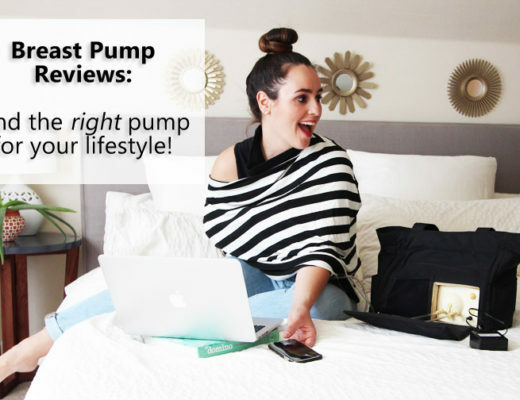 I struggled a lot in the beginning because as a first-time mom, I didn’t know how much milk output was normal, how often I needed to pump and I didn’t know any tips and tricks to make pumping easier. 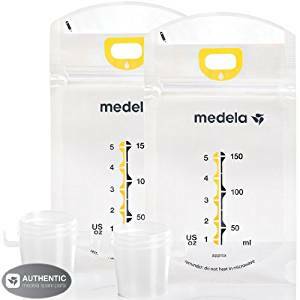 A good breast pump: I used the Medela Pump In Style travel bag because I was working and needed a pump that was functional and had enough storage for the milk that I was pumping while at work. 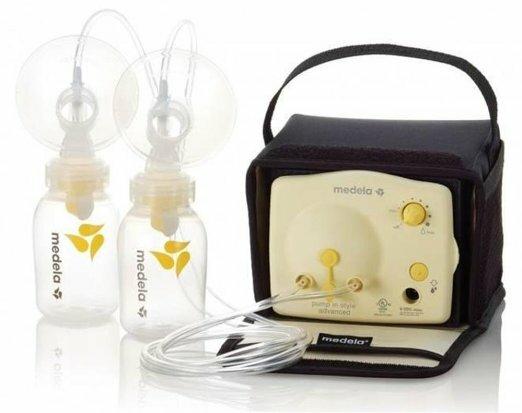 This breast pump comes in a bag and includes a nice little freezer pack to help keep the milk cold until you get home. It also has a portable battery pack so that you can pump anywhere on the go without needing an electric outlet. It also doesn’t look like a breast pump so you can walk in and out of work with it and no one would even know! The correct size breast cones: Your breast pump will come with several cone sizes or you may need to purchase different sizes as needed. If the cone is too large or too small for your breast, you will not get the maximum results out of the suction. Make sure your cone fits comfortably and snug enough that the suction is good. This is a great article by Medela on how to choose the correct size. Freezer storage bags: You may not have extra milk at first, but if you continue to pump and empty your breasts regularly, your supply will increase yielding some extra to build a freezer stash. I always had freezer storage bags available because they are cheaper than buying bottles to store milk in and they are easily disposable after use. The first step in pumping successfully is achieving let down. You can sit there and pump and not get any milk, but that doesn’t mean that there is no milk! Once I mastered let down, I was amazed how much milk I could get in one sitting. Breast massage: Massaging your breast before and during a pumping session helps get the milk flowing. Massage each breast one at a time from the top down. You can find some great techniques in this article here. Skin to skin: You can also achieve let down by doing skin to skin with your baby. This didn’t work as well as the massage technique but when I was really struggling to achieve letdown, doing both really helped. 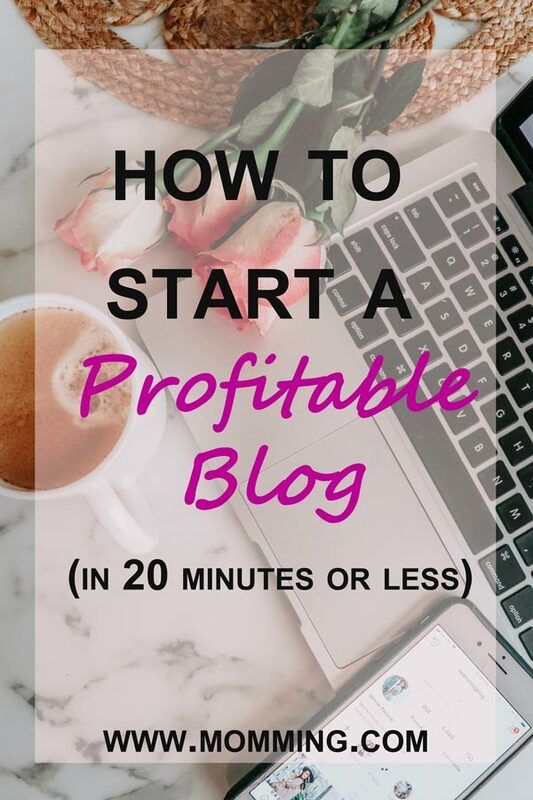 In the beginning, I wanted to establish a good supply so I set myself on a pumping schedule of every 3 hours minimum until my supply increased. I quickly learned that the more I pumped and emptied my breasts, the more milk I would produce. Rather than looking at how much I was pumping and getting discouraged, I just kept sticking to my schedule and within a week I went from pumping 1-2oz per session to up to 6 to 9oz depending on the time of day! It was amazing how quickly my body responded to my continued pumping. The key is to not give up and stick with it. Emptying your breasts regularly will not only signal your body to produce more milk, but it will also prevent other complications like mastitis. Power pumping: Power pumping works by emptying the breasts multiple times in a short period of time, which will signal the body to produce more milk. For power pumping, select one hour each day and follow a pattern of pumping for 20 minutes; rest 10 minutes. Pump another 10 minutes; rest 10 minutes. Repeat for the entire hour. I would power pump in the evenings when the kids were asleep for an hour while watching a movie and would do this for a few days in a row. I would notice an increase in my supply every time. This is an awesome complete power pumping guide here. Get more rest: Along with power pumping, sometimes I was just exhausted. Whenever I took naps or had more rest, I would notice that my milk supply was up rather than down. Try to get enough rest and nap when the baby naps. Drink water: In general, we need a lot of water but I would argue that even more while breastfeeding. The more water I drank, the better my supply did. Lactogenics: There are many foods you can eat or drink that may help increase your milk supply. These are called lactogenics and I have a list of some of my favorites in this post here. I also loved to drink Mother’s Milk Tea every day and always noticed that this helped me. Herbs such as Fenugreek also help increase milk production. Do a little bit of research, there are so many great lactogenics! To be completely honest, the first few weeks was the hardest because I was waking up around the clock to feed the baby and pump. However, after a few weeks when I had a really good supply (oversupply! ), I was able to drop my night pumping sessions and only pump when my baby was hungry. My schedule changed from pumping every few hours to pumping after my baby ate. I adjusted my schedule to their schedule rather than around the clock every few hours. By the time my maternity leave was over and I had to return to work, I only had to pump 2-3 times while away from my baby and I had built a freezer stash that took up my entire freezer. My number one biggest advice that I give all of my mom friends is don’t give up. Be persistent and stick with a routine, it really pays off. For more resources on breastfeeding and pumping, this is a wonderful resource list!